I really really NEED this book! I am dying to know how it wraps up and I have so many questions. Plus I kinda adore Falco! 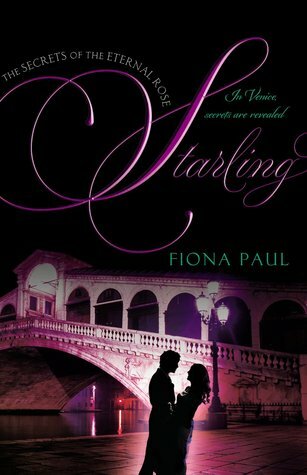 Starling will be released on March 20, 2014. I read around thirty pages of VENOM forever ago but put it down because I just couldn't get into it. I've heard this series is great, so maybe I'll try again. Nice pick! This is new to me and yet the cover looks familiar. Perhaps I saw it awhile back somewhere! Hope you enjoy it! They are already on the final book! I didn't even know the second book was out. I still need to read the first. So many books that needs reading! I hope time speeds up for you, better yet, I hope you get an ARC, you sound so excited to read it! I havne't read the first, but sounds good. hope you get to read it soon! Wow, that's really pretty! I love how much you love this series, Teresa. Thanks for sharing! Le sigh! Another series I have yet to start! Waaaaaah! SO many books TERESA. I want to read them ALLLLLL.